What are you bringing along on your next trip? Who doesn’t like presents? 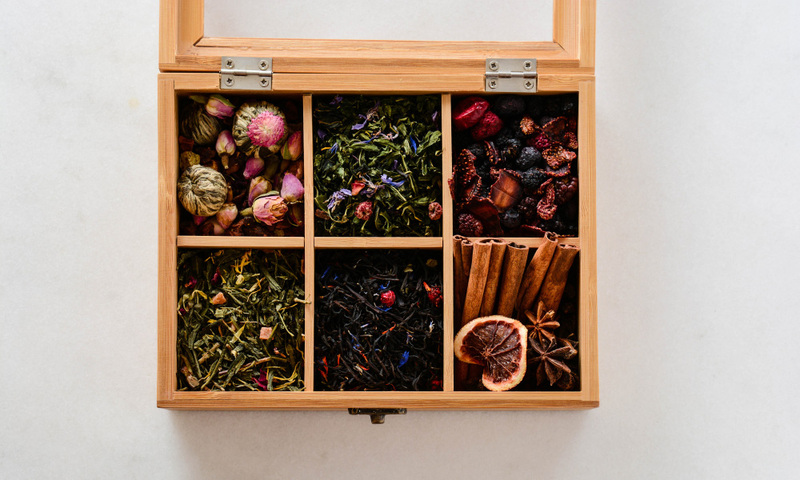 We all adore getting a little (or a lot) of something from family and friends but things get a bit trickier once we go beyond our own circles and culture because sometimes what looks familiar can be interpreted in many different – or even opposite – ways! This is important to know before a trip abroad because the last thing we’d want is to have our good intentions be misunderstood. So be sure to consult this list to avoid any pitfalls of gift giving etiquette around the world. In Japan, offering and receive gifts is done with both hands because this demonstrates respect and gratefulness. You should also refuse a gift at least once or twice before accepting it, in order to highlight your good manners toward your new friend. 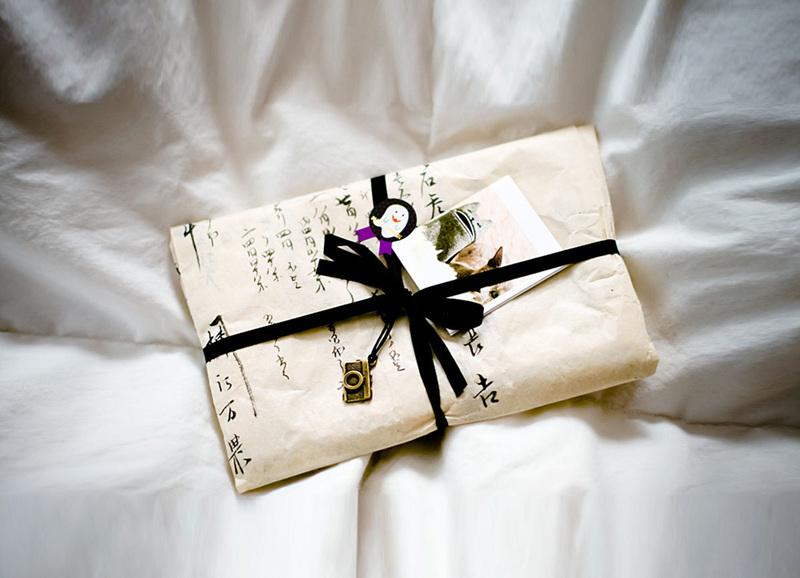 Your gift to them should also be nicely wrapped because the presentation matters just as much as the content! Gift giving is, not unlike in many other cultures (but not all, as we will see!) at the very heart of Japanese business etiquette. A Japanese employee who had just returned from a holiday abroad, for example, would be expected to bring back a small gift for the office to share and enjoy. So keep this in mind as a visitor: Gifts from your home country can be very welcome. The Japanese gift items to people they are indebted to and this can mean superiors, subordinates, colleagues, and good clients. The end of the year and midsummer are the main gift-giving times. Don’t be insulted if your Japanese friend doesn’t open your gift as soon as he receives it because it is custom to open presents when the giver is not present. Although gifting expensive things is extremely common in Japan, wait until you are alone with your friend because all gifts should be given in private and not in front of an audience, because this is considered boisterous and rude. Here’s another little thing to keep in mind: Because the Japanese are a bit on the superstitious side when it comes to numbers, remember to avoid presenting your friend with four or nine of anything and instead give presents in pairs. A Chinese person will refuse your present two, three times before accepting it. Does this sound familiar? Just like in Japanese and Arab culture, this does not mean that the gift is not appreciated, quite the opposite; it’s a way of demonstrating modesty and good manners. It’s quite common for Chinese people to use gifts to express appreciation for favors from family, friends, or professional contacts. Gift giving is a very balanced activity in China: If you receive something, you are expected to return the favor and Chinese people are quite sensitive to the monetary value of favors and gifts, so give something of equal value in return. Being frugal with gifts will earn you the reputation of being an “iron rooster,” which is a reverence to an ancient folk tale and is used to describe a person who is very stingy. Different from other cultures, it’s actually improper to give presents without a good reason or a witness (this last one is the total opposite of Japanese culture, for example). In China it’s actually quite common to be asked directly what you would like as a gift in order to eliminate all elements of surprise. If you want to conform to the Chinese culture, ask for things such as tea or ink paintings… but don’t ever ask for cash! On the other end, items that you should never gift other people include knives, scissors, or letter openers, because they symbolize the cutting off of a relationship. Clocks are also inappropriate presents because in many Chinese dialects, the phrase “give clock” sounds the same as “see off into death.” Handkerchiefs are associated with crying and funerals and, just like in Japan, avoid the number four and gift items in pairs. In Ghana, gifts should be neatly wrapped and presented with your right hand. The recipient may or may not open the gift immediately, there is no strict rule about this, either way. Gifts are central to business relationships in Ghana and many businesses show appreciation at the end of the year by gifting their customers, vendors, clients, and other business associates gift baskets, which have an assortment of gifts, sometimes including the company’s own products. Multinational corporations usually have stricter restrictions about gift giving than local companies. This comulnal spriat also carried on in the worst of times, so it is also common to give a donation for a funeral when a colleague or colleague’s family member passes away. French etiquette isn’t a great deal different from other Western European countries but it is, however, quite impolite to arrive empty handed when you’re invited to someone’s home, so gift your present before the meal or party. The most appropriate presents for these occasions would be flowers or sweets, or even something personalized. Flowers are generally appropriate when invited to someone’s home, but avoid chrysanthemums (they are used for funerals), red roses (they are reserved for romantic partners and very good friends), and carnations (they are thought to bring bad luck). Fine chocolates or champagne are also appropriate gifts. Also books and music and all other things intellectual would be appreciated because they reflect an appreciation of knowledge and the arts. Do not aim too low because in France, gifts should not insult the intelligence of your hosts and friends. For example, a written biography may be a better choice than a book about something more simplistic. Good taste is key when giving gifts in France, so anything with a company logo can be considered in poor taste. Timing is also important and the French avoid giving gifts at the first business meeting. Did you hear that part about the flowers? Flowers are a very appropriate gift when you’re invited to someone’s home in France – but in the beautiful European country of Italy that is south of France, this present is actually the biggest no-no! So in short: Don’t even think of gifting your new Italian friends flowers because they won’t be well received – at all! Why are flowers shunned as a gift? It’s mainly because in Italy flowers are only used during funerals and they are therefore considered bad luck. So in order to avoid any awkward situations, think of anything but flowers for your Italian friends. When it comes to giving gifts in Russia, it’s all about context. The value of gifts varies depending on the relationship and the context but in general, you are better off avoiding giving an expensive gift because it could be perceived as a bribe. For the same reason gifts, if any, are given at the end of a transaction or meeting because this timing also helps avoid any misperception of wrongdoing. Gifts will more often than not, be opened in private and not in front of the giver, and some Russians may initially refuse the gift. If you want your Russian friend to really take the gift, it is best to downplay the whole process. If you bring a gift to a Russian colleague’s home, for example, be like a local and say that, “It’s just a little something for the house.” If the gift gets refused, the giver can place it on the table before leaving and mention something that minimizes the overall gesture. Keeping in with the theme of number and flowers to avoid, in Russia it is inappropriate to gift flowers, either bundled in even numbers or in the shade of yellow. Lilies and carnations are also to be avoided because they are reserved for funerals. Manners are at the forefront of Indian culture, so any gift you give your new Indian friends will be received graciously, regardless of whether or not it will be used. And while this may not have been in your top-10 list of gifts you were seriously considering to bring to India, it’s very important to steer clear of beef in any form because cows are considered sacred animals in India. Let’s say you’re in Turkey and you’ve been invited to someone’s house to share a meal. In this case, all you have to keep in mind that the gift you need to bring with you is – yourself! Bring some healthy appreciation for their food and a healthy appetite because your Turkish host will not stop eating until you do and it’s considered terrible manners not to finish what’s put on your plate. You may also be invited to a lavish Turkish wedding, which is a huge deal. If you take up this invitation, and you absolutely should, fall in line with the tradition of buying the Turkish bride golden coins worth around SAR 500 to pin on her wedding dress. 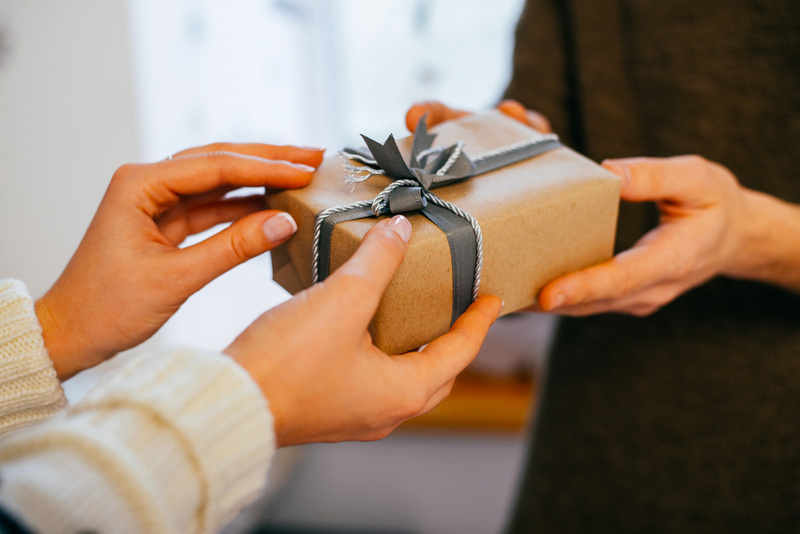 American culture can be full of contradictions but there are a few general rules of thumb when it comes to gift given and receiving. Very different from Chinese culture for example, is that when a gift is given to a person from the USA, the giver might not receive one in return. Also very different from Japanese culture but very much in line with Chinese culture, is that Americans will often open their new gift right away, in front of the giver, in order for them to see it and to be able to thank the person who gave it to them. One thing to be very sensitized to is that a person’s nature of work or their rank might prevent them from legally being able to receive gifts. 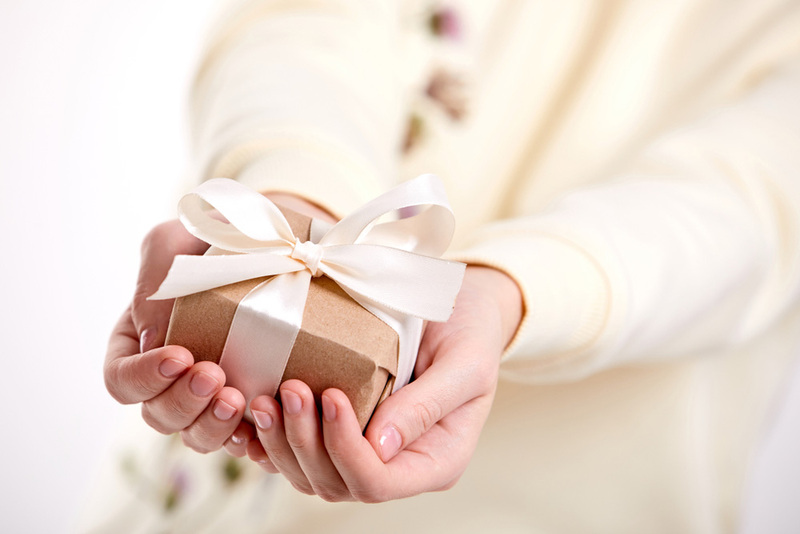 There are strict corporate and government-based limitations around giving or accepting gifts. US government officials, for example, have very clear limits and restrictions on whether and what types of gifts they can receive. 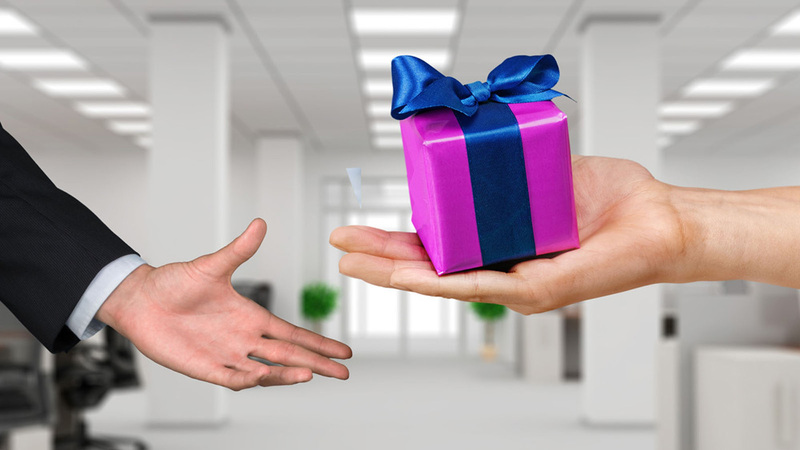 Americans do not give gifts to customers when meeting for the first time, and neither are gifts exchanged as a thank-you for doing business together. 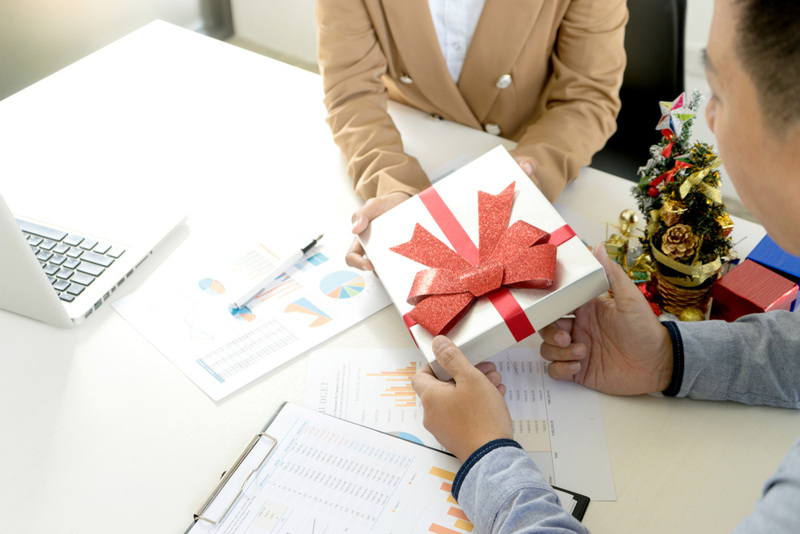 A time when it is most appropriate to give presents is around the winter holiday season, where gift-related office games are played among coworkers and colleagues. This is also a season when it is common for bosses to give gifts and bonuses to executive assistants and other subordinates. Did you pick up a new custom here or there? With this tour around the world and overview of different gift-giving customs in different countries, there’s nothing stopping you from making the absolute best choice for both yourself and your new business partners and friends, anywhere in the world.